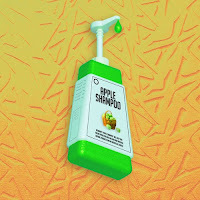 DESKPOP artist, nelward, releases his first single, "Apple Shampoo" from his upcoming EP Alive in Screen! From Atlanta, Georgia, nelward washes together catchy creamy vocals, sweet sounding melodies, with squeaky clean beats. The jazzy pop sound bubbles with animated chords and playful bass. Both vocals and production by nelward, this is a fresh listen for those who want a song that will leave your heart feeling in the utmost joy! Below share and listen to nelward's "Apple Shampoo"! Preorder Alive in Screen here, releasing via DESKPOP on 11/22! London producer, MisterrCha, grants us with a groovy remix of Slow Shudder's "Tired of Pretending" from our SYNTHESIS VOL.1 compilation! With upbeat drum structure and juggling the singer/producer Slow Shudder's vocals, the remix brings an islander bounce to the original. MisterrCha brings in his own flavor of yummy bass and tasty vocal chops to blend together for a delicious sound. The melody is transformed into a popping style of a house and breakdance blend to tingle the dancing joints in your body! Take a listen below as we proudly present MisterrCha's remix of "Tired of Pretending"! !